“The Blue,” the world’s largest flawless fancy vivid blue diamond at 13.22 carats, is expected to fetch a whopping $25 million when it hits the auction block during Christie’s Magnificent Jewels event in Geneva next month. "The stone is internally and externally bereft of any imperfections,” said Rahul Kadakia, head of jewelry for Christie's Americas & Switzerland. “In simple terms, it's the best blue diamond in the world." Believed to be of South African origin, “The Blue” will be one of the 250 lots of statement diamonds, natural pearl necklaces, private collections and signed jewels offered for sale at the May 14 Magnificent Jewels event. 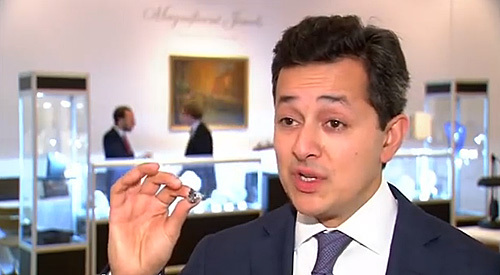 Christie’s did not reveal the owner of “The Blue,” but did note that the seller was motivated by the record prices recently achieved by colored diamonds on the auction circuit. 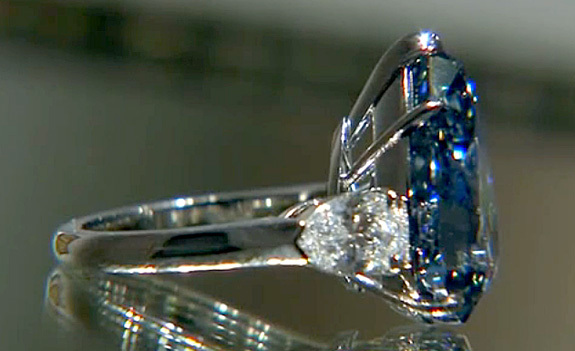 “The Blue” is currently set in a ring, where it’s flanked by flawless 1-carat pear-shaped diamonds. 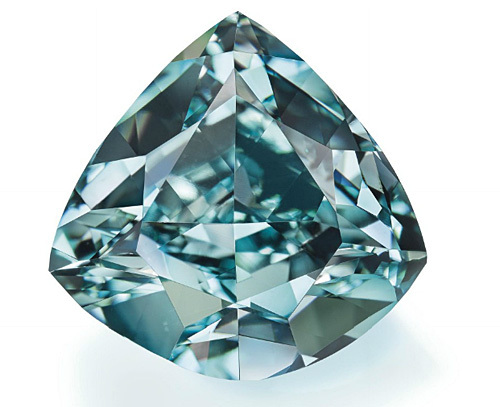 Also headlining the Christie’s Magnificent Jewels auction is the largest fancy vivid blue-green diamond in the world. 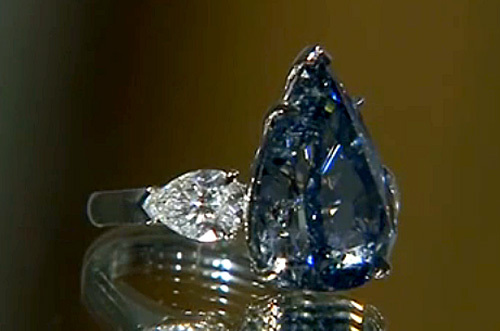 Called “The Ocean Dream,” the trillion-cut stone weighs 5.5 carats and is expected to fetch between $7.5 million and $9 million at auction. “The combination of its size, natural origin, hue, and saturated color makes it an extremely unusual occurrence,” said a Christie’s spokesperson. 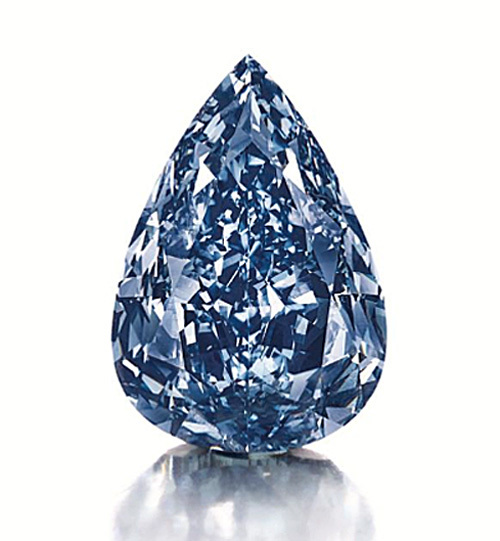 Some experts believe “The Ocean Dream” has a good chance of exceeding Christie’s high estimate for this stone, because diamonds of this color are in high demand and rarely come up for auction. “The Ocean Dream” is owned by the Cora Diamond Corporation and was previously loaned to the Smithsonian’s National Museum of Natural History, where it was on exhibit in 2003 as part of the “Splendor of Diamonds” exhibition. Gem Photos: Christie's; Jewelry Photos: YouTube.